I have never traveled in a train. But when I read this poem by Christine Weatherly, I feel like travelling in one. 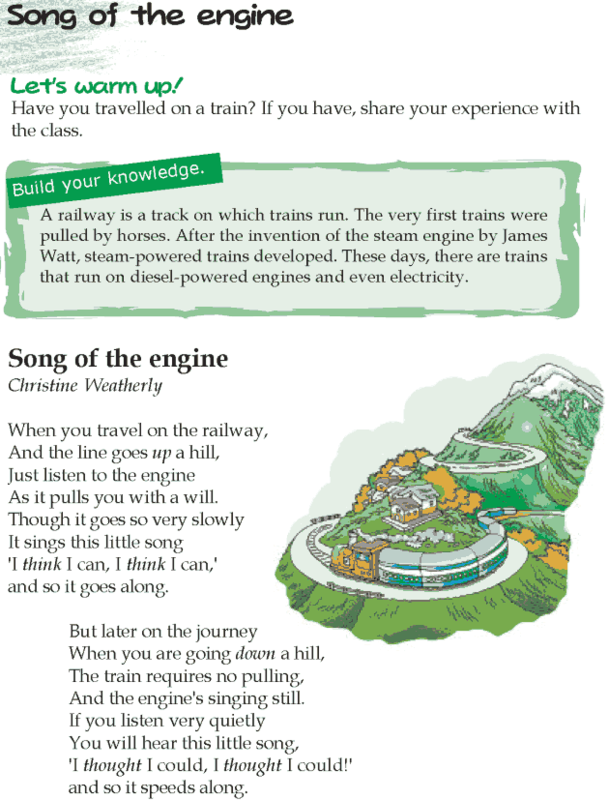 Do their engines really sing songs as this poem describes? Let us read this poem.